Asus ZenFone 5Z has started receiving Android 9.0 Pie. 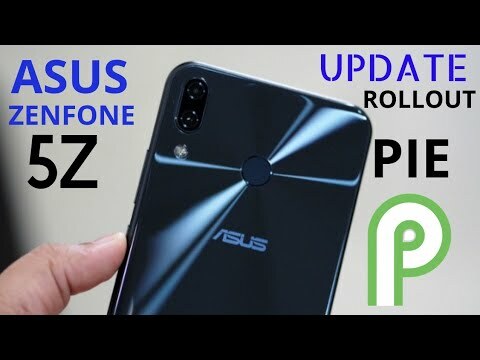 The new development comes weeks after Asus confirmed that the ZenFone 5Z would receive the Android Pie update by the end of January 2019. However, the latest version is now rolling out in Taiwan. The update is expected to bring the core Android Pie features as well as enhances the camera experience. 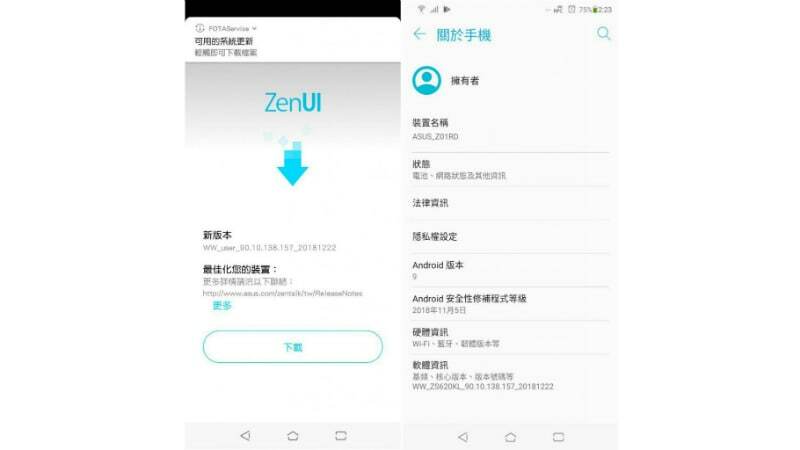 The ZenFone 5Z originally runs Android 8.0 Oreo with ZenUI 5.0 on top. Also, it is powered by a Qualcomm Snapdragon 845 SoC, along with up to 8GB of RAM. As posted on the official ZenTalk forums, the Android 9.0 Pie update for the ZenFone 5Z (ZS620KL) has started rolling out in Taiwan. The update is rolling out as a firmware-over-the-air (FOTA) package in phases. It can be manually downloaded by going to Settings > About > System Update. The changelog provided on the ZenTalk forums revealed that alongside having some of the core Android Pie features, the latest software update speeds up the camera experience. The new package also comes with software version 90.10.138.157_20181222. Several ZenFone 5Z users in Taiwan have confirmed the Android Pie rollout in a Telegram channel. Users report that the update carries the November 2018 Android security patch and is 1048MB in size. The update also reportedly comes with a preloaded Dark theme and a new navigation system along with gesture support. You can manually download the OTA Zip package and flash your ZenFone 5Z. The OTA package is compatible with the ZenFone 5Z (ZS620KL) model based on 80.30.96.221. As we mentioned, Asus last month announced that ZenFone 5Z would receive Android 9.0 Pie in January 2019. The smartphone was launched in India back in August with Android 8.0 Oreo. The dual-SIM (Nano) Asus ZenFone 5Z features 6.2-inch full-HD+ (1080×2246 pixels) Super IPS+ display with an 18.7:9 aspect ratio. It is powered by a Qualcomm Snapdragon 845 SoC, coupled with Adreno 630 GPU and up to 8GB of RAM. Asus has provided a dual rear camera setup that includes a 12-megapixel Sony IMX363 primary sensor, with f/1.8 aperture and support for OIS, and a secondary 8-megapixel OmniVision 8856 sensor with fixed focus, f/2.2 aperture, and a 120-degree wide-angle lens. At the front, the smartphone sports the same 8-megapixel fixed focus OmniVision 8856 sensor for selfies. The ZenFone 5Z comes with up to 256GB of onboard storage that is expandable via microSD card (up to 2TB). Connectivity options on the smartphone include 4G VoLTE, dual-band Wi-Fi 802.11ac (2.4GHz/ 5GHz), NFC, Bluetooth v5.0, FM radio, USB OTG, GPS/ A-GPS, GLONASS, Beidou, USB Type-C (Gen1), and a 3.5mm headphone jack. Sensors on board include an accelerometer, ambient light sensor, electronic compass, gyroscope, fingerprint sensor, proximity sensor, and an RGB sensor. Besides, the smartphone packs a 3,300mAh battery along with Quick Charge 3.0 support.